Like you, I would like to spend more time with my family. I've worked for a corporate company for the last 17 yrs. only job I've ever had since college but I've reached a point in my life i want quality time with my family. You really don't have to know coding in-depth to be successful in Medical Billing. Just a basic understanding of coding nomenclature, the coding system, and how to recognize different codes. This is usually taught as part of any basic Medical Billing course. 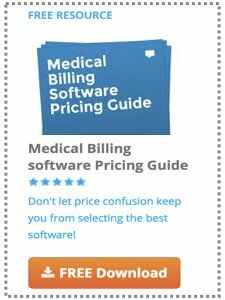 A lot of that comes with experience in medical billing - after a while you recognize billing codes, errors, and see how the coding process works - and which ICD codes go with the CPT codes - enough to be a good biller. There's a couple of options for training in Medical Billing. A lot of local vocational or trade type schools offer a good basic medical billing course. And it's usually pretty reasonably priced. I get the course catalog for our local community college and notice they have what looks like a good billing course. There's also a lot of online alternatives - but I noticed many online schools try to offer everything - but aren't good at any one thing - and they can be expensive. I have heard good things about MedicalBillingCourse.com. They're pretty reasonable and it's run by people that have a lot of experience in medical billing. I was fortunate enough to get a job in medical billing with no experience and actually learned "on the job" - but that's more the exception than the rule. The hardest part I've found in starting a Medical Billing business is getting doctors or practices convinced to outsource their billing. It seams like learning billing was the easy part. But many people have already worked in a doctors office and have connections or clients already lined up.